First of all, your home is likely to sell faster if it looks attractive. Do what you can to increase your home’s curb appeal so that it makes a good impression. On the inside, declutter as much as you can. In some cases, it can be worth it to hire someone to attractively stage your home so it appears to best advantage. Clear up any cosmetic issues so that your home looks as attractive as possible. If it comes down to your home and another home, and the homes are similar, the better-looking home is likely to sell. Having a real estate agent really helped us sell our home. In fact, our home was never officially listed because our real estate agent was prepared with a buyer. A good real estate agent knows the market, and has connections. In our case, the real estate agent just happened to have buyers looking for something similar to our home. Even though we weren’t quite ready to list our home, the fact that our real estate agent was ready with someone meant that we went ahead and agreed to it. If we had waited another week to list our home as planned, and done it without a real estate agent, we wouldn’t have known about these buyers, and we would have missed our chance. You are far more likely to price your home appropriately, get help with selling everything, and complete the sale faster with the help of a knowledgeable real estate agent. The unfortunate reality of selling your home fast is that you need to be willing to price your home to sell. 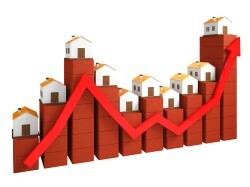 If you have six months to wait, you can price your home higher, and then slowly bring your price down if you need to. However, if you want to sell your home fast, you need to price it to sell. We priced our home slightly higher than we figured we would be able to get (thanks to the advice of the real estate agent), but not too much higher than that. We wanted our home to be attractive, so we knew we wouldn’t be able to ask for what we would have liked. If you want to sell fast, you have to be willing to take a little bit less. As expected, the buyers countered our asking price. We wanted the sale, though, so we were willing to negotiate and come down a little bit. We did counter their counter, splitting the difference between what we originally priced the home at, and what they offered on it. Everything worked out well enough, and they accepted. If we hadn’t been willing to come down a little bit, though, the home wouldn’t have sold as fast as it did. Being willing to negotiate helped the process. Like many things in life, if you want convenience, you have to pay for it. 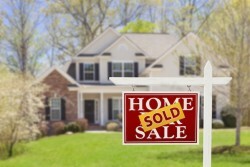 If you want to sell your home fast, you need to be ready to pay the price. Even though our home wasn’t under water, and we sold the home for more than we owed, it wasn’t for that much more, and the difference wasn’t enough to cover selling costs and real estate agent commissions. 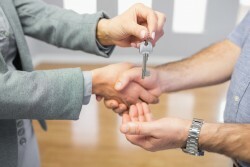 If you want to sell your home fast, you need to be ready to pay all the costs associated with making the deal happen. It wasn’t fun coming up with the capital, but we did it. The faster you sell your home, the better prepared you need to be. We were able to sell our home in a matter of days, without actually listing it, because we were prepared, and we had an inside track (and a little luck). If you are willing to do what it takes, you have a chance at selling your home fast, too.